While there have been dozens of monitoring programs collecting data on the health of Lake Winnipeg, a new open-access online hub will allow people to find that freshwater data and track changes to the watershed’s health, particularly in terms of phosphorus and its impact on algal blooms. Known as the Lake Winnipeg DataStream the open access platform is led nationally by The Gordon Foundation and delivered locally in collaboration with the Lake Winnipeg Foundation. “In the past it’s been difficult to access freshwater data,” said Sherry Campbell, President & CEO of The Gordon Foundation, in a statement to media. “That poses challenges both for identifying environmental issues that impact Lake Winnipeg as well as for developing effective, evidence-based, watershed management policies,” she added. The Gordon Foundation describes the new online data tool as user-friendly and free, allowing users to store, share, access, and visualize water monitoring data. The platform, according to the foundation, is “built with community monitors, policy-makers and researchers in mind.” Users will need a DataStream account if they wish to upload data. The Lake Winnipeg Foundation coordinates the Lake Winnipeg Community-Based Monitoring Network, which mobilizes citizens to collect water samples across Manitoba. With support from conservation partners and the guidance of the foundation’s science advisors, the network is identifying phosphorus hotspots – localized areas that contribute higher amounts of algae-causing phosphorus to local waterways than other areas. 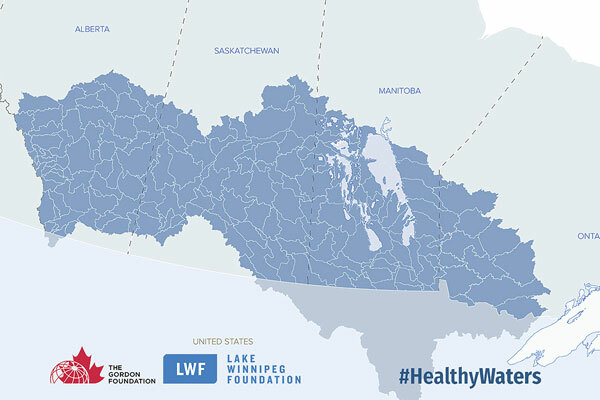 In 2018, the Government of Canada announced $3.8 million in funding over four years to protect and restore the health of the Lake Winnipeg basin. The datastream includes a range of water quality data, including physical, chemical and biological characteristics, pesticides and hydrocarbons to assess aquatic ecosystem health. “Lake Winnipeg DataStream provides us with an online platform to share citizen-generated data broadly with our partners and the public,” announced Alexis Kanu, Executive Director of the Lake Winnipeg Foundation. “When data are available to everyone, new collaborations and innovations are possible,” she added.